Lol that's true , made me think for a moment. That's cool, but we need numbers for context. Doesn't say what rate it has grown at, what it's competitors grew/declined at etc. this one part of the article at the bottom he mentioned i found interesting. They've got nowhere to go but up. I mean they started at selling 3.9 million units a year in 2016 worldwide (mostly US of course), in a world where Samsung and Apple count their sales in the 10s of millions in a quarter. In comparison Samsung sold 55 million S7/S7E in the US+Korea (can't find individual numbers for each country) after 3 quarters. With LG, HTC, and Huawei sales going the way they are in the US, it should be expected IMO. DMP89145 and brosko like this. Well the article is very specific in that it talks about US brands. So it's putting the Pixel against Apple, Motorola and what else? Majority of Pixel sales are in the US anyway AFAIK. It probably won't be far off to say 90% of Pixel sales are in the US. Apple sales are down. Not sure if Samsung has released theirs but it's either steady or down I think? But IMO no matter what brand Pixels are up against, they really could only start selling more before they become more costly to maintain selling than to be scrapped altogether. If they were selling any less than 3.9 million a year it might be a more costly venture than an earning one. They've got nowhere to go but up. I get your point but I would never speculate that going up is a given. I do think they are headed in the right direction. I'm not even sure Motorola qualifies as a US brand. Isn't Lenovo a Chinese company? Yes, Motorola/Lenovo is a Chinese company. 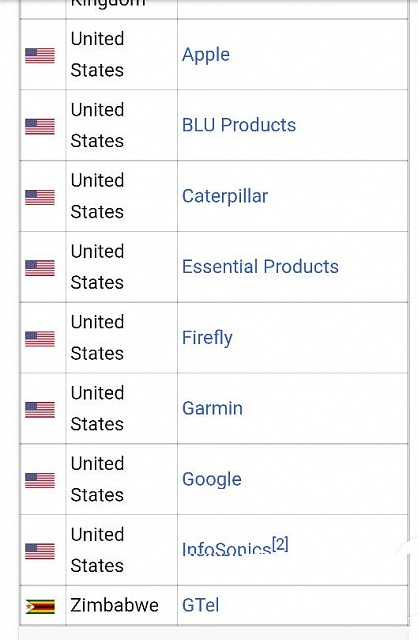 According to Wikipedia this is the list of US mobile brands. I'm not exactly sure what they mean here... Perhaps they mean if you don't use Chrome, because everything I do does sync across my devices... Anything I download syncs .. If I'm on my Pixel Book and download a file, it syncs to my Pixel... Idk .. Even text messages,files,contacts ? I don't own pixel book just curious. I looked into how Google's system does actually compare to Apple's and, while it's getting close there are spots for greater cohesiveness. 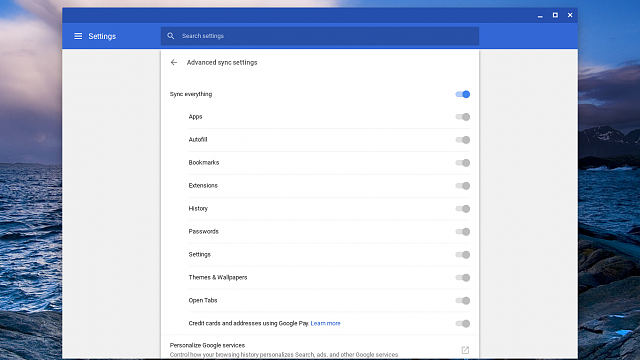 Google is missing a universal clipboard like feature that would mirror what apple offers. Also, yes Google can make calls through Hangouts or Duo, but with Duo it's only others on Duo i.e. can't call a business. Hangouts does serve that function, but we all know what is going on there. Honestly, Google should've just stayed with hangouts and improved it instead of continually starting and stopping endless other messaging services. I see my older daughter , she's in college and watch her just continue stuff from her iPhone x to iPad then Mac computer. DMP89145 and Eggmundo like this. Cast from Google Pixel XL2 to smart tv. How to disable BOTIM from running in the bavkground?